After sitting out the first two weeks of the season due to a hamstring injury, Rob Gronkowski had a tough time getting into a rhythm in his first two games back. He clearly wasn’t on the same page as rookie quarterback Jacoby Brissett as he was targeted just twice in weeks three and four, catching one pass for 11 yards. Since Tom Brady’s return in week five, Gronk has been a different beast. The one we’ve become more accustomed to seeing over the last six years. The one who catches touchdown passes and trash talks and throws defenders out of the club. 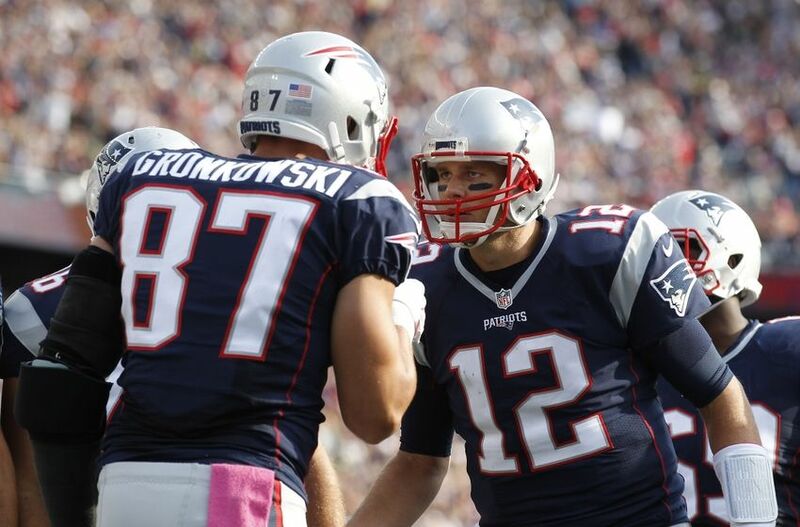 In the past two weeks, Gronk has racked up 271 yards and a touchdown. He’s already arguably the best tight end of all-time, and his 162 yard performance in last Sunday’s win over the Bengals was the best of his career. So to everyone who was saying after week two that Gronk’s best days might be behind him because he’s injury prone, the 27 year-old is still getting better. All he needed was his quarterback. I wrote an article recently on how much better receivers and tight ends become when they team up with Brady. I believe Gronk is good enough to be a great tight end with any decent QB, and if he had more time to work with Brissett he could still put up solid numbers, but we’re witnessing first hand how much easier things get for him when he has the luxury of playing with the greatest of all-time. He also apologized for letting his emotions get the best of him and drawing the flag. Bill probably told him to say that, but if you ask any Patriots fan they’ll tell you that his actions were completely justified. Great to have you back 87. Never change.